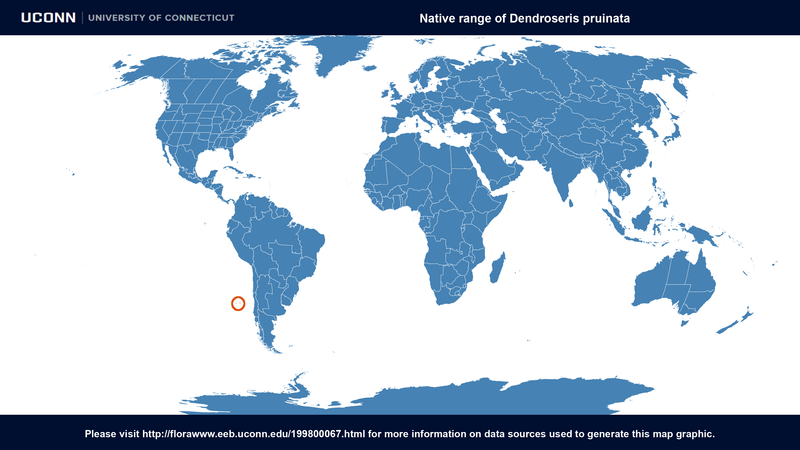 Description: This species, as are all members of the genus Dendroseris, is endemic to the Juan Fernandez Islands. This particular species can be found on Santa Clara and Masatiella Islands. This species is in the sub-genus Rea. A population of D. pruinata on Morro Spartan (a rock off the coast of Masatierra - the main island) is the largest population known of this species. 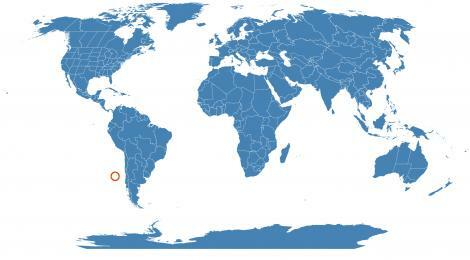 There are only 20 individuals in this population. The plant is a sea-spray tolerant, rosette tree inhabiting very poor, rocky soils. It bears white flowers with some nectar and a slight odor. It is probably a tetraploid (n=18) and is also likely semi-self compatible.